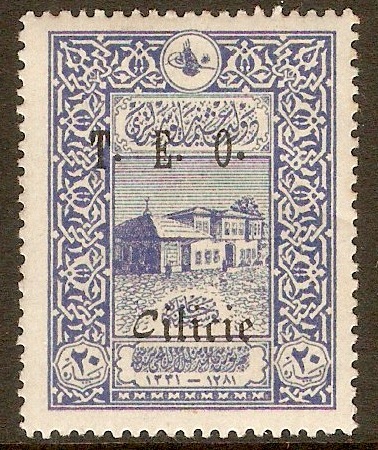 Cilicia 1919 20pa Blue. SG76. Mounted mint 1919 20pa Blue. SG76. 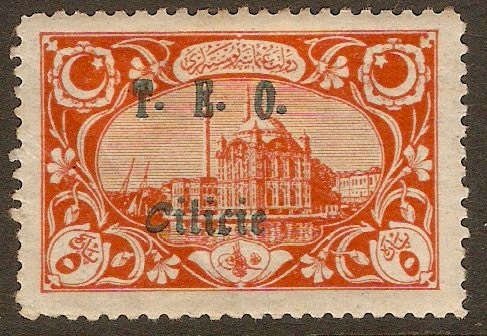 Cilicia 1919 5pa Orange. SG79. Heavy mounted mint 1919 5pa Orange. SG79. 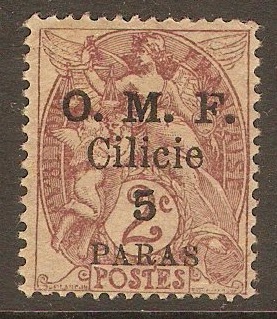 Cilicia 1920 5pa on 2c Claret. SG100. 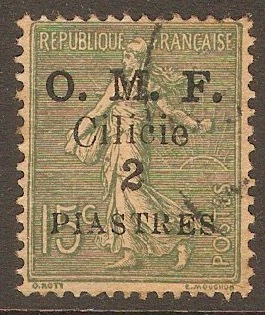 Mounted mint 1920 5pa on 2c Claret. SG100. 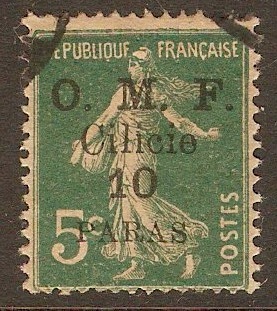 Cilicia 1920 10pa on 5c Green. SG101. Fine used 1920 10pa on 5c Green. SG101. 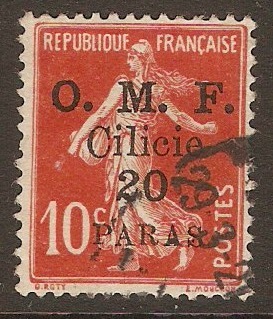 Cilicia 1920 20pa on 10c Red. SG102. Fine used 1920 20pa on 10c Red. SG102. Cilicia 1920 2pi on 15c Slate-green. SG104. Fine used 1920 2pi on 15c Slate-green. SG104.